Retinol. My skin can't seem to get enough. It wants all of the Retinol, all of the time. 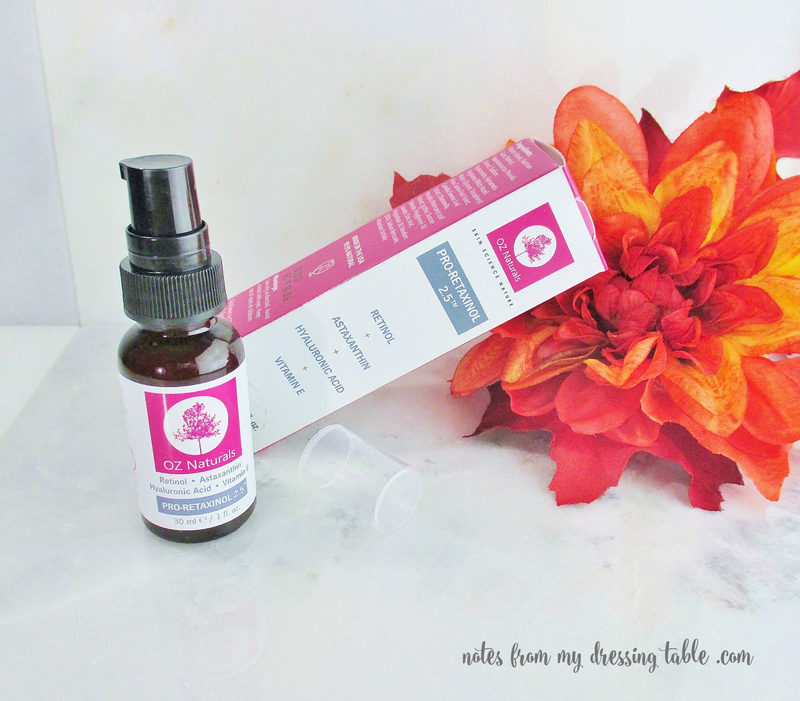 One way in which it receives it's Retinol fix is via a serum by OZ Naturals. This 2.5% Retinol Serum contains a clinical strength dose of Retinol plus Astaxanthin, Vitamin E and Hyaluronic Acid. The one ounce bottle is a deep amber colour and there is a pump delivery system to help guard against contamination and infiltration by air and light. 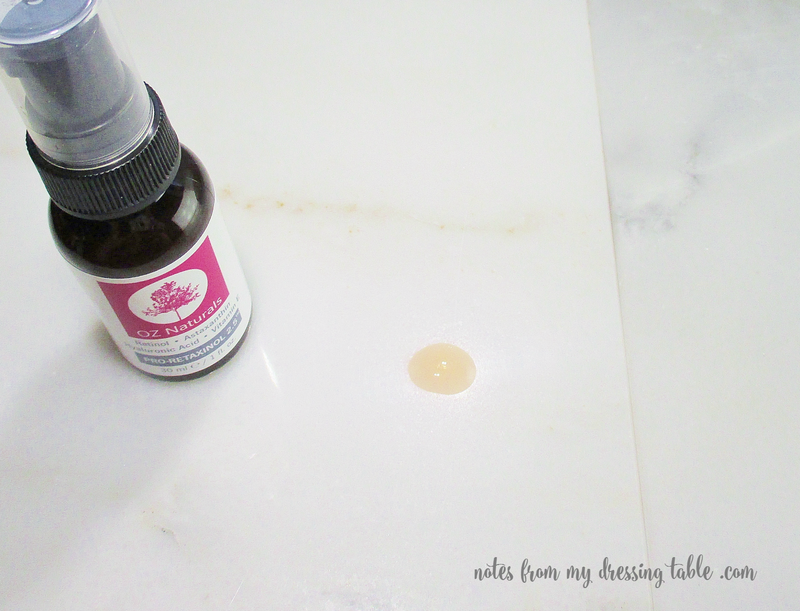 This pale pink gel serum delivers a powerful dose of Retinol to the skin, yet it is buffered with Vitamin E and Hyaluronic Acid and it is gentle enough that I can use it close to my eyes (using care to keep it from getting in my eyes!) and down my neck and on my decolletage with no irritation or discomfort. Sometimes, my skin will pink a little bit but it calms down immediately but normally, it doesn't react, at all. I use Retinol on a regular basis, long term and I am enjoying the benefits. At fifty-one, my skin is more even toned now that it has ever been in my adult life. My complexion has a nice, healthy glow and over time, with persistent use, Retinol has helped to fade the old signs of my past battles with adult acne. Is my skin "flawless?" No. But I believe that it looks the best it has, in my adult life and I can credit uncompromising attention to my skin care routine and high quality products, among them this beautiful, affordable and effective Oz Naturals 2.5% Retinol Serum. OZ Naturals 2.5% Retinol Serum is cruelty free, made in the U.S. is 72% organic, is free of alcohol, parabens and sulfates and is safe for (they claim) all skin types. This serum is gentle, but if you are very sensitive I would suggest that you test before you use this serum, then start slow and build up. 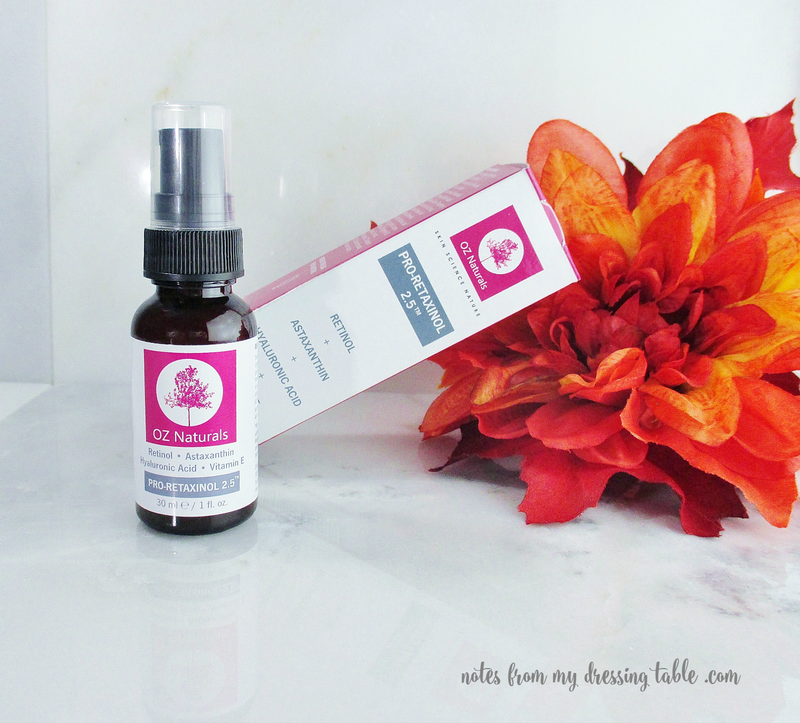 Have you tried this serum? Are you thinking about starting a Retinol regime if you haven't yet begun using this wonderful ingredient?